Hattip PW: Never have your candidate do something for the camera that he never does in real life. When asked why he had purchased Pepsi, Romney said, "Because Coke drinkers are anti-American, anti-military, anti-small business and anti-Chick-fil-A." 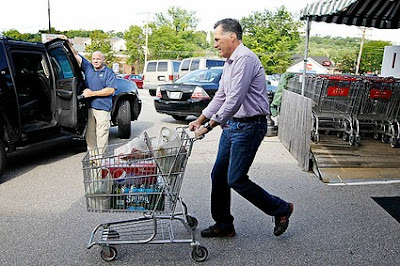 Romney looks SO uncomfortable every time I see him in jeans. He is stiff, distant, and seems as if he can't connect with anyone that he is talking to.